Located within the newly proclaimed Karoo Gariep Nature Reserve, the charming New Holme Guest Farm and lovely Stoffels Rus Self-Catering Log Cabin are family-run properties offering a home away from home in the heart of the Karoo. The nature reserve was once the original Ferreira farm land, now a combination of nature, game and sheep farming. New Holme is nestled amongst the trees that attract a wealth of birdlife, with sprawling, lush lawns and gardens. A total of 27 guests can be accommodated by the gorgeously furnished, en-suite rooms that offer air-conditioning to keep you cool in the summer and electric blankets to keep the cold at bay during the wintertime. New Holme takes pride in its incredible three-course dinners (pre-booking required) that boast a combination of traditional Karoo dishes and good wine from the underground wine cellar. Scrumptious breakfasts are also served. The breath-taking vistas of the Karoo countryside provide an idyllic backdrop for beautiful weddings so the Karoo Gariep Wedding Venue seems like the perfect choice to celebrate. Romance combines with the magic of the Karoo to create a special atmosphere for your day. The venue accommodates 50-200 guests (up to 50 indoors and up to 200 in the garden or marque tent). Décor and catering are all seen to, while the guest farm provides comfortable accommodation. Daily activities include sunset drives to the hippo pool, Buchman etching guided walks, early morning birding drives and night drives during which you’re likely to see aardwolf and aardvark, along with other wildlife, all under a starry sky. Stoffels Rus Self-Catering Log Cabin is found in the gardens of New Holme and sleeps up to four guests. The fully-equipped kitchen makes for breezy, longer self-catering stays but meals can also be booked at the guest house. During a wedding event, Stoffels Rus is offered as the honeymoon suite for the couple. Owners PC and Marisca Ferreira are ready to welcome you to your Karoo stay to remember. "Had a great stay there! " "A beautiful farm, personally run by a lovely family with easy access from the highway. Clean, comfortable accommodation – would prefer better mattresses. Maybe spring mattresses match the setting of the original home :) Lovely home cooked meal. " "We could not have chosen a better place to stay to celebrate a reunion. New Holme guest farm is beautiful! We had everything we could long for, in a tranquil setting on a beautiful farm. PC and Marisca are wonderful hosts. Marisca`s home cooked meals were nostalgic and brought back memories of Mom`s meals prepared with love and attention to presentation and flavour. From homemade venison pie, lamb shank bredie, good old pumpkin pie, freshly made soups and steaming artisanal breads fresh from the oven, served a variety of jams and preserves, and puddings galore - everything was just absolutely divine. Red wine from the private wine cellar and huge log fires at night added all the warmth to the chilly Karoo nights. Sundowners on the river bank, being entertained by laughing hippos in the Karoo was amazing. Thank you PC and Marisca for making our weekend with good old friends absolutely memorable." "This was our third stay at New Holme and we have become accustomed to the warm welcome and good food with which P.C. and Marisca always awaits us. What a pleasure to be staying in a safe environment with a pleasant garden in the middle of the Karoo. There are plentiful bird species around and it sounds so much better to be awoken by them instead of a cellphone's alarm. The Ferreiras are generous with their food portions as well as their anecdotes and we will definitely return. P.S. I saw a Spotted Eagle Owl around 08:00 am!" "Thank you for the amazing stay! Such a beautiful house, friendly people and family atmosphere. I'm blessed to have made this great experience. The trip to the hippos on the pickup car was as amazing as the food. Thanks a lot for everything!" "Fantastic experience. A beautiful setting, with very welcoming host and hostess, with excellent food. Also a lovely pool to cool down in. We were enchanted by the baby buck which the owners are hand-rearing. We also liked selecting our own bottle of wine from the cellar. Adults, teenagers and 11-year old loved it." "Beautiful, Peaceful, Comfortable and clean!!! Such an amazing farm just off the N1 and ideal to stop for a night's rest plus yummy food with friendly hosts. Children playing and adults relaxing, nothing more needed!!!" "The first time we stayed over was 9 years ago. The owners have made various good changes and additions to the guest house. 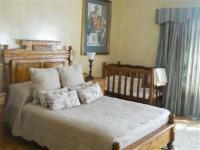 Hanover is in the middle between Johannesburg and Cape Town, therefore a well positioned stay over. The guesthouse offer a tranquil Karoo environment and PC (the owner) will take you on a variety of drives on the farm, ranging from visiting at the Hippos, bird watching or a night drive. The food is excellent. Mariska is the chef and wife of PC." "Owners PC and Mariska Ferreira are passionate........about their guests who are made to feel comfortable, relaxed and part of the family. About providing gourmet fare from Mariska's kitchen. About beautifully appointed and comfortable bedrooms, each different and equipped with fans, aircon, kettles etc. About service where nothing is too much trouble. About facilities which include a welcome swimming pool, night and hippo drives and a fully serviced bar and cellar. About birdwatching and breeding high value game eg Sable Antelope, Eland, disease free buffalo etc. On top of all this, PC and Mariska are passionate about uplifting the Khoi San community resulting in fascinating and heart warming projects. Time spent chatting with this extremely interesting and knowledgeable couple is, well breathtaking as well as stimulating. As if all this was not enough, add in the beautiful Pierneef Karoo landscape, the quiet, relaxed environment and a diamond studded night sky! This was a return 2 night visit which will definitely not be our last." "We really had an amazing stay over. PC and Mariska are wonderful hosts and made us feel very welcome. Ouma made a really good potjie, which was delicious. 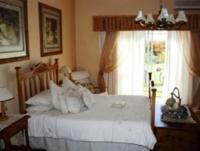 The accommodation is comfortable and clean and set in beautiful garden surroundings. The evening sunset at the hippo pool was a bonus. This is our third visit to New Holmes over a period of about 9 or 10 years. We certainly will be back and highly recommend it as a halfway stop over from Cape Town to Johannesburg." "We spent one very enjoyable night here, this is a lovely peaceful place in beautiful surroundings, We had a wonderful evening meal and a good breakfast and everyone was very friendly. Unfortunately we didn't see the hippos, perhaps we will have better luck next time." From CT drive North on N1 to Hanover, we are 23 km past (North) of Hanover. This is 50km before Colesberg. Turn left at the New Holme sign on the N1 there are 2 white walls marked karoo hippo project and Karoo Gariep Nature Reserve follow the 8km dirt road to the lodge. From JHB drive South to Colesberg at Colesberg stay on the N1 towards Hanover , we are 50km South of Colesberg , turn right at the New Holme sings and through the white walls. Follow the 8km dirt road to the lodge.